It’s this nook with a turn in the continent that makes all the elements to grow grapes for wine. The Pacific Ocean has a unique effect on the vines offering intense salinity in the air. It’s the only place where grapes grow that offers an open mouth from the valley to the ocean. The fog seeps in at night and blankets the vines with an interesting diffusion of light. By lunchtime, the bright sun bathes the grapes with warmth, before the late afternoon wind pulls the hot air away from the Valley region. This ripening window with fog, sun and wind creates an acidity different from other wine growing areas in California. The vines thrive in these conditions with bud breaks in February and ripened for harvest by September. What makes these grapes excellent for growing and producing fruit for wine is the soil. There are two main areas: the Santa Maria Valley and Santa Ynez Valley, with Santa Rita Hills nestled far west. Some grapes grow well in the sandy soil, while others thrive in soft shale, a finely stratified sedimentary rock that can be split easily into fragile slabs. Ballard Canyon is located in the heart of Santa Ynez. Another area called Happy Canyon is to the east and bucolic Los Olives vineyards are also in the Santa Ynez region. I learned all about five of the best Santa Barbara Chardonnay wines and I believe all are worthy of being in your cellar and enjoyed throughout the year. They are all at a good price point as well. Winemaker: Jim Clemenden has been making this Santa Maria Valley wine since 1996. Growing Grapes: He picks grapes later and keeps the wine in barrel longer than any other Chardonnay grown in this region. Clemenden said, “The richness and texture increases inside the bottle until opened. Flavor: The Nuits-Blanches style is richer and oakier than other Au Bon Climat Chardonnays. There are lovely aromas of apricot, lavender and caramel with bright lemon flavors. The finish offers a spice of with vanilla, clove and honeydew melon. Geology: This clone in the cool Santa Maria Valley is low in pH at a ripe sugar level. 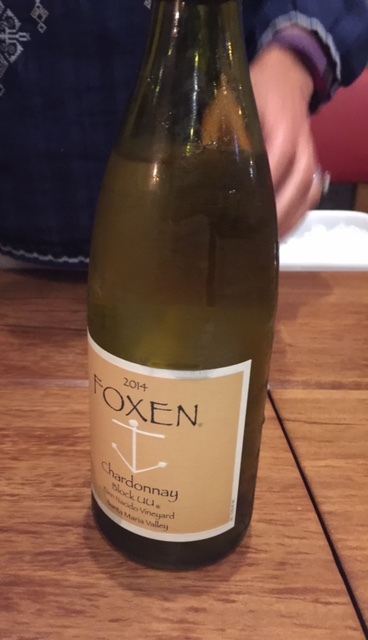 A low pH Chardonnay ages better, integrate with oak better, and pairs beautifully with food. Barrels: The best grapes are aged for 18 months in new François Frères barrels, and bottled with no filtering. This wine will continue to get better at age 10. Price Point: In the $30 range. 2. Brewer-Clifton 2013 3D Chardonnay. Made in the Santa Rita Hills, Brewer-Clifton is known for its high-acidity maritime qualities grown in soil from sand to hard shale. The longer the hang time for grapes, the flavor development is greater, which is an asset when making Chardonnay. Winemaker: Greg Brewer started making wine here is 1996. They don’t disturb the leaves, and practice farming with minimal hand manipulation. This wine offers a brightness with no added sulphur. You don’t smell the saline from the ocean in this wine, as you do in some of the Santa Barbara County wines. Flavor: Focused on citrus notes with poached pear, nectarine, anise and honeysuckle on the deeply scented nose. Price Point: $25 to $30. 3. Dierberg 2013 Dierberg Vineyard Chardonnay is made in Santa Maria Valley. Winemaker: Tyler Thomas used to work in Sonoma where he always needed to hurry the ripeness of the fruit. In Santa Maria, the grapes retain a freshness and longer growing time. There is not the pressure of rot or disease due to rain. It’s a different process than making wine in Northern California’s picking season. More laid back. Flavor: This Chardonnay is gorgeous in color and flavor with lemon oil and tropical fruit tempered by the cool microclimate here. The flavors are bright, focused with a hint of sweetness from the oak adding complexity. Winemaker: Santa Maria Valley’s winemaker David Whitehair. This is a long growing region. They grow 2.5 to 3 tons of grapes with a lot of acidity. Flavor: Full bodied wines with malo-lactic fermentation and spent time in oak. There are distinct tropical notes and a rich full mouthfeel of grapefruit, peach, pineapple and mango. The notes of minerality offer a hint of vanilla. Vineyards: The Chardonnay is grafted onto Riesling rootstock that was originally planted in the early 1970s. This creates a Chardonnay with great balance and personality. 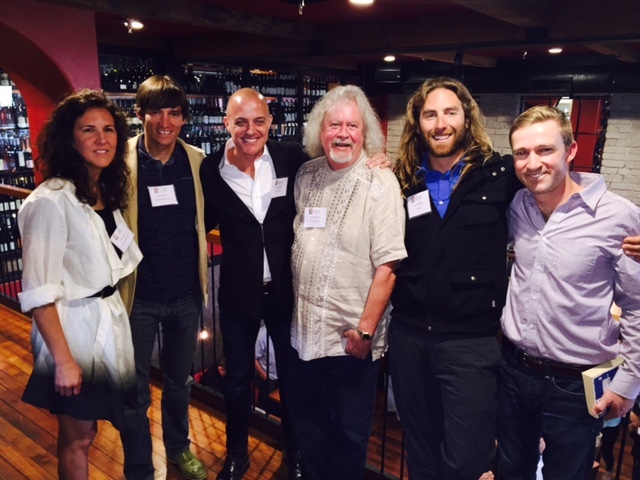 Winemaker: John Faulkner is focused on the ecology of winemaking. His wines are warmer and brighter in color with fruit opulence flavors due to the geography of this winery. The ocean air can almost be smelled in this wine. The slightly salty profile enables the taste buds to enjoy food with each glass. No Yeast: This wine offers a briney minerality and the winery hasn’t added any commercial yeast in over 5 years. The Chardonnays are wild yeast fermented in neutral to 30% new French oak barrels ranging in size from 59 to 400 gallons. Wines stay in barrels for 9 to 15 months. Prior to bottling, they are moved to stainless steel tanks to settle into a fresh and crisp wine with energizing acidity and citrus flavors. Price Point: $30 a bottle range. Next time you see a Santa Barbara region Chardonnay on a menu at your favorite restaurant or wine store, purchase a bottle. You will be pleased with its elegance, drinkability and the way it complements such Sunday fare as Eggs Benedict or Crab Cakes. Sip a glass with a piece of grilled halibut or swordfish with mushrooms and late summer vegetables. Pumpkin ravioli is ideal with a rich Chardonnay. You can even drink a tropical Chardonnay with seared foie gras. Cheers to Santa Barbara County!